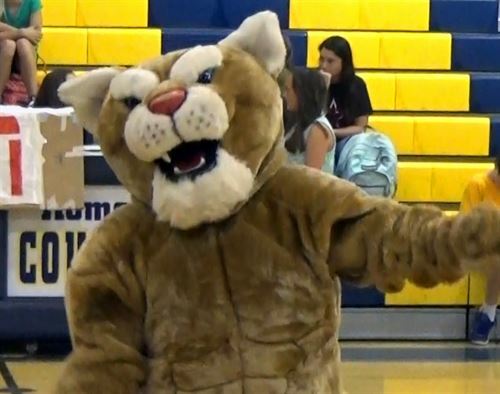 Chico Junior is a Positive Behavior Interventions & Supports (PBIS) School. Learn more about the Cougar Way. To graduate each of our students with high levels of academic success and who are ready for high school via a system of collaboration, effective teaching strategies, assessment, and support. Here at Chico Junior, we strive to ensure our students are active with activities appropriate for their abilities. CJHS Leadership students help plan fun activities throughout the school year. Imagination: The ability to form a mental image of something not perceived through the five senses. The ability of the mind to build mental scenes, objects or events that do not exist, are not present. Bring your friends and family to Chipotle’s for dinner at the 20th Street, Chico Mall location on Tuesday, April 23rd between 4:00 and 8:00 pm and support a fundraiser to benefit Chico Junior. 33% of all proceeds will be donated to our school! NOTE: You must have the flyer with you or on your phone and tell the cashier you’re supporting this fundraiser. You can download the flyer (both English and Spanish versions) by clicking the below link or the photo to the left! Thank you for your support of our school family! It is the District’s goal to ensure students and staff are healthy and safe at school. While to date no Chico Unified staff or students have been diagnosed with Measles, we do want our families to be aware of the occurrence of Measles in Butte County and to know what to do should they suspect a family member has been exposed. Please read information in the below documentation. Thank you. The School Site Council is a group of teachers, parents, and school staff members who work as a team with our school administration to develop, review, and evaluate school improvement programs and school budgets. Be part of making the decisions at Chico Junior! All are welcome at School Site Council meetings. They are held the first Wednesday of each month at 3:30 pm in room 407. Click here to view Agenda/Minutes for past and upcoming meetings! Are you interested in data trends within the district? Is your passion reviewing district goals? If so, you need to attend the next LCAP Meeting on Tuesday, April 16th! Check out the flyer in the below link and register to attend! Please sign up for childcare only if you are intending to bring them to the meeting. Thank you! We hope to see many of you at this vital meeting! A new communication system is coming to Chico Junior High this month. We are excited because our school was chosen as a first adopter! This new system will allow parents to receive messages via a method of their choice: text, email or phone calls. We’re looking forward to joining the digital age! Look for more information coming soon! Click the link to read additional information sent to parents. Easy access for parents to log into their Aeries Account. Welcome to our on-line store, the Cougar Den, the one stop shop for all your Cougar needs! STEM (Science, Technology, Engineering and Mathematics) introduces students to engineering. Everyone who cares about Chico Junior is welcome to join the Parent Teacher Student Association.